Each year the Fair Oaks Community Center conducts a county wide call for two paid internship opportunities with the OYE (Orgullo y Educacion) Latinx Youth Conference committee. The OYE Conference creates a platform for students to express their views and concerns about their community, propose suggestions for solutions and provides leadership opportunities for youth (ages 14-22). 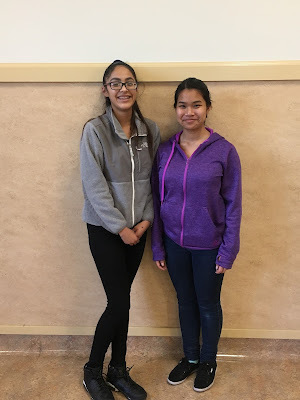 For the past two years, Cañada College has hosted the OYE Conference and this year, two Cañada TRIO Upward Bound students were selected to intern with the OYE Latinx Youth Conference committee. Sophomore, Mary Cheevakasemkoon was selected to be the Administrative Intern who will assist with the finance administration tasks, organize and coordinate OYE conference registration for 350+ participants, and help prepare the logistics for the conference. Sophomore, Maria Casique will be the Community Outreach/ Fundraising Intern who will assist in the recruitment for attendees, organize and coordinate social media accounts and postings, and assist with the fundraising efforts for the conference. Both students are excited for the opportunity to work closely with community leaders and represent their peers. Please be on the lookout for more information to come and the opportunity to present at the OYE conference.